Hours may vary on holidays. Check the schedule for information. Walk-up support is closed when the University is closed. OSU-Tulsa has dedicated, on-campus desk side support and network administration staff to assist you with your computer, printer, network and telephone needs. Calls for assistance are taken through the centralized IT Helpdesk in Stillwater that serves OSU and several other A&M colleges, and issues that cannot be resolved over the phone will be dispatched to our on-site team. Call 4-HELP (4-4357) from your desktop phone or 405-744-4357 from your cell phone to reach the IT Helpdesk for assistance with computer, network, printer or telephone issues. You can also email helpdesk@okstate.edu for IT assistance. 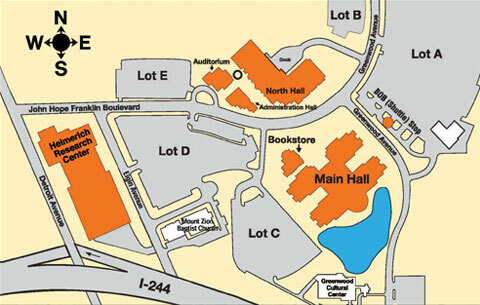 Walk-in IT support is available in Main Hall 2314 during specified hours. Call 918-561-1800 (918-594-8200 is not preferred but is still monitored) or email tulsa.facilities@okstate.edu for facilities and housekeeping requests. These requests are handled by OSU in Tulsa Facilities Management, which serves both OSU-Tulsa and OSU Center for Health Sciences. Calling or emailing the old Tulsa Help Desk contacts will lead to delays in getting the right staff to help you, but be assured that those numbers and addresses will be monitored.